I have just looked at my holiday list, and often it is a bit overwhelming. Having family spread across the nation during the holidays often means we have to get crafty, smart, and creative with gift giving. No one wants to send towels, or home appliances year after year, that is just not a fun gift. Often you and your family have sipped glasses of fine wine together, chatted over extraordinary cheeses and sumptuous chocolates, but distance now is the barrier. Sometimes, distance between us, is the simple reason to give a gift send my mail, other times, it is because someone has distinctive tastes, preferences and wants. 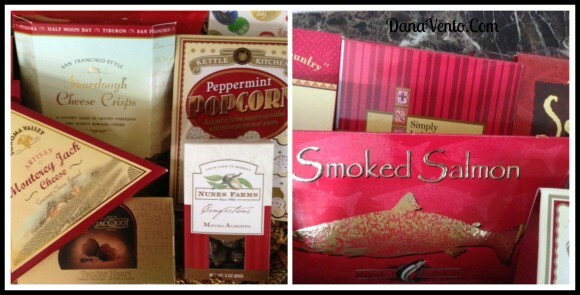 No matter how you shop for those on your holiday list this year or how you plan to send love and cheer, one thing is sure, if you are looking for sweet and savory taste that embody the Golden State I have found a way to lavishly live those exclusive tastes out loud, going California Delicious. My doorstep was just the lucky recipient of a most luscious, sweet, savory and confection basket from California Delicious. Curious as to who the company was, I quickly ‘Googled’ it to see what was special about this basket, besides the presentation which created more appeal than even the contents, if that is possible. A large red bow, wrapped around a clean cellophane presentation offered my e a bounty of chocolate confections and treats that would satisfy the most fanatical sweet enthusiast. Then upon my quest I found out what makes this basket of confections the truest smattering of The Golden State: the items contained in my Any Occasion Gourmet Basket were a Bonne Bouche that offered a variety and flavor of California foods and wines. Inside the clear cellophane I quickly found the first item to become victimized by my palate: Mocha Almonds from Nunes Farms and then with an insatiable pang for more my fingers quickly opened the Kettle Kitchen Peppermint Popcorn which burst with that tingly flavor of candy cane that I crave around this time of year. Oh, no, one-by-one I was testing out the contents as the next item on my hit list was Ghiradelli Chocolate Squares, you know the Dark 60% Cacao ones, ummmmmm. 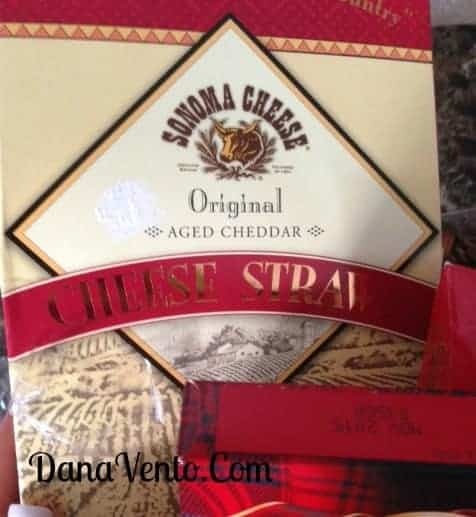 Suddenly, my cheese sensor went off as I located…..Monterey Jack Cheese, creamy, delectable and waiting for that glass of wine, after all what better to go with cheese? How about some delicious, savory Sonoma Cheese Original Aged Cheddar Cheese Straws, followed by Smoked Salmon from the Kasilof Fish Co., and a handful of Jelly Belly Jelly Beans. Wait, I noticed a package, untouched, and why should it be allowed to survive this massacre of taste-testing. I grabbed my glass of wine and found bliss when dunking a Viva Sonoma Biscotti crafted of traditional almond. Needless to say at the end of this feasting binge, I placed my headphones back into my ears, kicked my feet up and just rested a while, savoring all the bounties of the Golden State that were clamoring for my attention. While the wonderful assortment of foods is long gone, the basket is now reusable and will remind me of each lovely, morsel that I was able to test, enjoy and have a sweet finish to an otherwise very basic day! 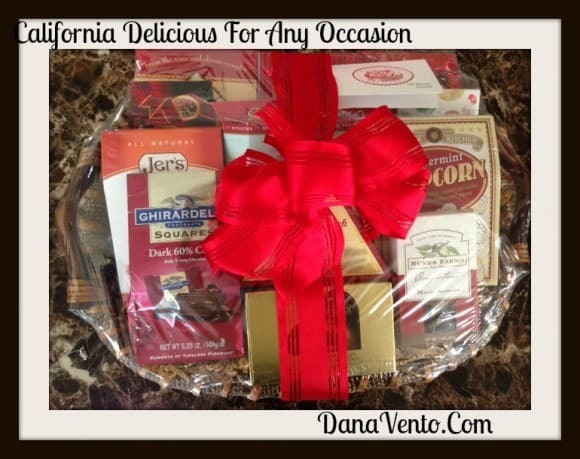 You too can lavishly live out loud, or let someone you love across our great nation enjoy a taste of the Golden State with a California Delicious Gift, as I am guessing someone in your family would love this lavish splurge of simply amazing treats.